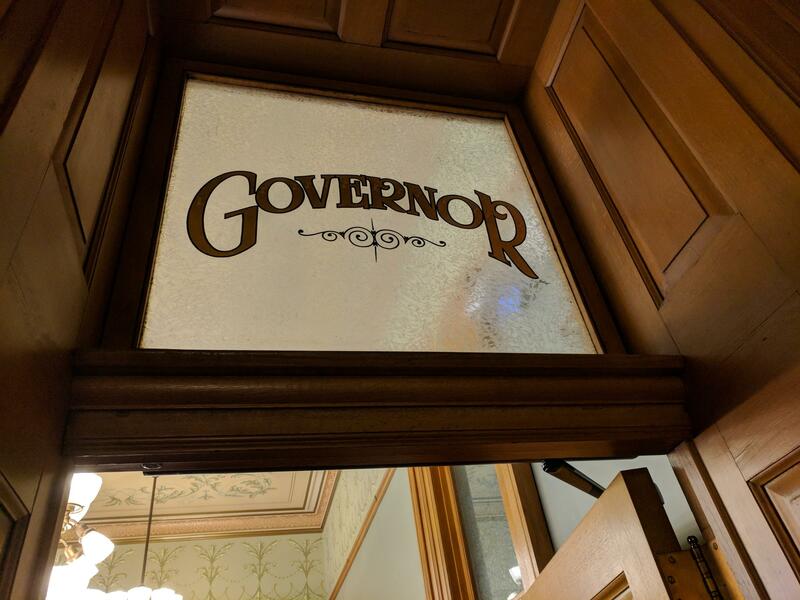 Candidates shooting to win the next election for governor filed the campaign finance reports this week, suggesting a thinning of the field may be coming soon. Combined, nearly $6 million poured into the race before the state even rang in 2018 — or more than twice where fundraising stood at this point in the state’s last race for governor. The flood of money shows brisk betting on a contest likely to see competitive Republican and Democratic primaries — even as an independent candidate with heavy backing waits to take on the winners. The top seven Republican candidates raised more than $4.7 million, roughly half from loans that several made to their campaigns. Kobach, the perceived front-runner, pulled in just under $355,000. That ranked sixth among the contenders. 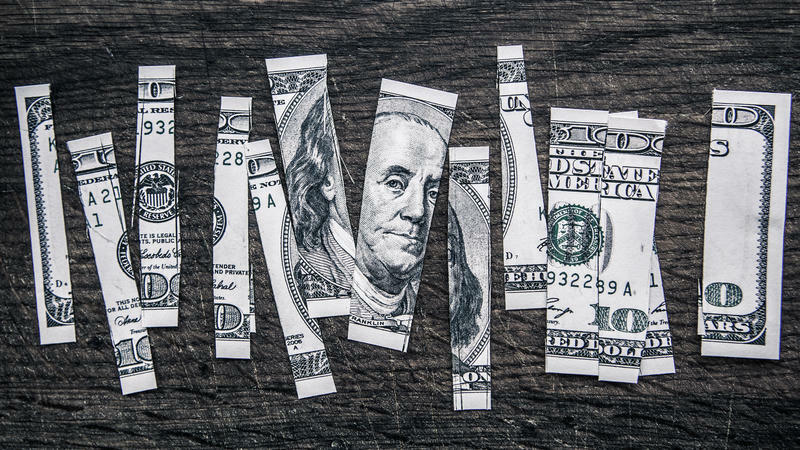 It led only the roughly $218,000 rounded up by Ed O’Malley, a former Kansas House member who took a leave from his post as CEO of the Kansas Leadership Center to campaign. A conservative with high name recognition and two statewide election wins, Kobach doesn’t need as much early money as lesser-known candidates, said University of Kansas political scientist Patrick Miller. For O’Malley, Miller said, “it’s hard to find any silver lining” in his last-place finish. What’s more, he trails the other moderate Republican in the race by $350,000. That rival, Topeka doctor and former state senator Jim Barnett, is largely self-funding his campaign. Miller regularly scours the reports and said Insurance Commissioner Ken Selzer and former Kansas Rep. Mark Hutton posted stronger-than-expected fundraising. “They both stand out,” he said. Selzer logged more than $713,000, bolstered by $285,000 in personal contributions. Hutton, the founder of a Wichita-based construction company, donated $200,000 to raise his total to about $582,000. The $632,000 raised by Lt. Gov. 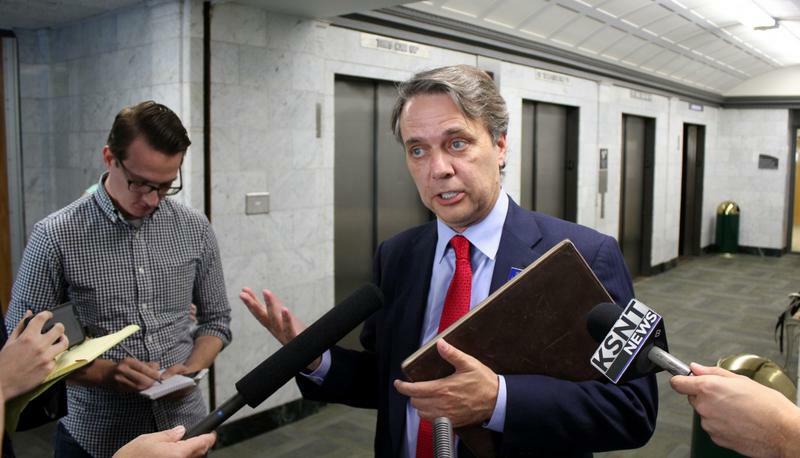 Jeff Colyer ranked him among the top three in the Republican field, trailing only candidates who made substantial contributions to their own campaigns. In absolute terms, Colyer raised more money than any of the other candidates. Wichita oilman Wink Hartman’s $1.8 million in contributions topped the Republican field, though $1.65 million of that came from his personal fortune. Hartman, who lost a 2010 bid for Congress in the district that includes Wichita, said he intended to largely self-fund his campaign so that he wouldn’t be beholden to special interests. “When we win this race, we’ll bring conservative business solutions to the Statehouse, not a list of policies sold to the highest bidder,” he said in media release. Former Kansas Rep. Josh Svaty led the four contenders for the Democratic nomination with nearly $191,000. But state Sen. Laura Kelly generated the most buzz by raising $155,000 between Dec. 15, when she announced her candidacy, and the Dec. 31 end of the reporting period. “That’s pretty impressive,” Miller said, noting that the end of the year is one of the hardest times for candidates to raise money. Kelly’s report includes contributions from former Gov. Kathleen Sebelius and several of her supporters. That may suggest that at least some party leaders lacked confidence in Svaty, House Minority Leader Jim Ward and former Wichita Mayor Carl Brewer. The contribution numbers also suggest that, Miller said. Ward drew less than $91,000 and Brewer pulled in about $45,000. In an interview, Ward insisted he’ll stay in the race until the August primary. Greg Orman, who lost a race for the U.S. Senate in 2014, is running as an independent in the governor’s race. He reported $453,000. Yet unlike the rest of the field, he can save much of his cash for the fall general election.